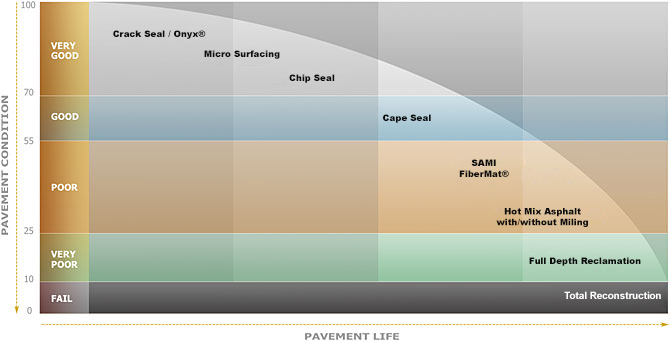 ‘The essence of pavement preservation is the application of the right treatment, to the right pavement, at the right time to save or delay future expenditures.’ – FP2 Inc.
Pavement Preservation focuses on extending the lifecycle of highways by treating road surfaces much sooner in the aging process. This improves roadway safety and saves tax dollars because highways last longer. Pavement preservation also protects the country’s natural resources. By preserving road surfaces that are already in place, we are able to use less virgin materials and tap in to fewer natural resource reserves, while giving off fewer emissions.